The next song on the countdown of the Top 100 Songs of the '90s is from a band that needs no introduction. R.E.M. is one of the most popular alternative rock bands ever and while they peaked in terms of popularity around 1994, they have been a force in the rock music scene pretty much since their breakout hit in 1987,"The One I Love". From 1987 to 1996 they released six albums, all of which were certified platinum in the United States. Although they never reached the coveted #1 ranking on Billboard's Hot 100, they came very close in 1991 with "Losing My Religion" and their highest position to date at #4. They have an astonishing twelve Top 10 songs on the Mainstream Rock Charts and ten Top 10 songs on the Modern Rock Charts. 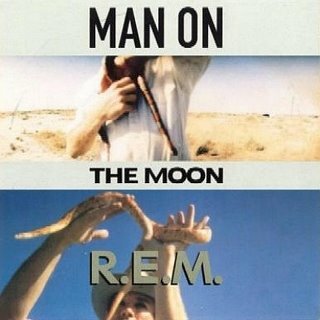 "Man on the Moon" was the second single released off of their critically acclaimed eighth studio album, Automatic For The People, in 1992. The song mixes in references to Sir Issac Newton, Charles Darwin and Moses, with the main topic being the late-great entertainer Andy Kaufman. The song inspired the name for the 1999 film "Man on the Moon", a biopic of Andy Kaufman, and was used in promotion of the film. The song best can be summed up with the famous double negative line, "If you believe there's nothing up their sleeve, then nothing is cool." It's a great song because of its thought provoking lyrics and its timeless sound and deserves a its rightful place on the countdown. The music video for "Man on the Moon" is also one of my personal favorites. It has all the important elements for a great music video: its filmed in black and white, it has the lead singer walking aimlessly in the desert, extras in a bar lip syncing the lyrics, and of course random images of lightning. All kidding aside, the music video fit well with the song and gets the job done quite nicely. Check it out! 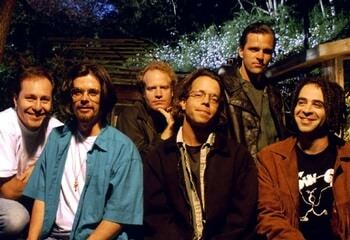 The countdown of the Top 100 Songs of the 90s continues and this time it's "Hanginaround" by Counting Crows. "Hanginaround" is another song that just snuck into contention for the countdown. It was released in 1999 off of their third studio album, This Desert Life. This single, along with their already existing fan base, propelled the album to platinum status in early 2000. This is just one of many popular singles they have released over the years, but personally one of my favorites. The lyrics are so universal and almost everyone can relate to them at some point in their life. This is the first time the Counting Crows have been featured on the countdown but I have a feeling that it won't be their last appearance. They had quite a run during the '90s which continued well into turn of the century. They have sold over 10 million albums and have charted 8 singles on the US Modern Rock Charts. They are currently touring in Australia after releasing their fifth studio album, Saturday Nights & Sunday Mornings, last year. While their sales numbers have declined over the years, they have such a strong fan base, I doubt they will hang it up anytime soon. As for the music video, its not quite as good as the song. As with most music videos, it shows the band performing the hit single. Lead singer, Adam Duritz, is seen sitting on a bench at a bus stop where he sees some rather strange things. Check it out and let me know what you think. Interested in other songs from the countdown? Check out the other Top Songs of the 1990s here. It has been a while since we last left off with the countdown but today I have for you a great but perhaps forgotten rock song, "Touch, Peel and Stand" by Days Of The New. "Touch, Peel and Stand" is the band's biggest hit to date, reaching #6 on the Modern Rock Charts and #1 on the Mainstream Rock Charts for a stay of a remarkable 16 weeks. Only 5 other songs in the chart's history have managed to stay at #1 for a longer period of time. It was the first single released off of their first album which is self-titled. The album went on to go platinum with the help of "Shelf In The Room" and "The Down Town", both of which were almost as successful as "Touch, Peel and Stand". 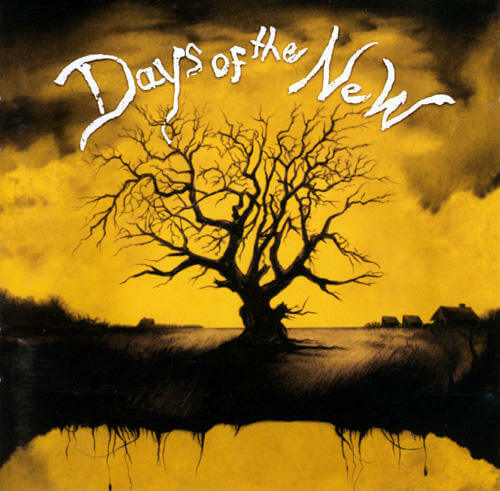 Days Of The New were really quite a unique band for the time period. I have always felt like they came the closest at bringing a true "grunge" vibe to their songs in a time where most bands were forming the "post-grunge" genre. In my opinion, they have a sound that is a cross between Bush and Alice and Chains. They are known for a "acoustic rock" feel to their songs, and when combined with front man, "Travis Meeks", voice, you got a sound that no doubt reminded you of the great grunge music that came before them. They went on to release two more self-titled albums but were never able to retain the success of their first album. This music video is a little intense to say the least. It features the band performing the song like so many other music videos and features a Days Of The New staple, a shirtless Travis Meeks. I've seen some of their other music videos and that seems to be a theme. Although there seems to by a storyline to the video, it doesn't have much substance. It's a little dark and a features a kid who trashes his apartment then cuts off his hair and shaves his head. While the video isn't much, the song is great. Check it out! After a fairly long hiatus, RizzoMusic is back with the countdown and one of my personal favorites, "Don't Go Away" by Oasis. "Don't Go Away" is just one song in a string of successful singles that Oasis released in the 1990s. It was the fourth single released off of one of the most highly anticipated albums in music history, Be Here Now. Although, Oasis' third studio album, sold over eight million copies worldwide, it is considered by many music enthusiasts as a disappointment and none of the tracks from the album are included on Oasis' best-of album, Stop the Clocks. "Don't Go Away" is just one of my favorites from an album full of some great songs: a song that features some of Liam's best vocals. 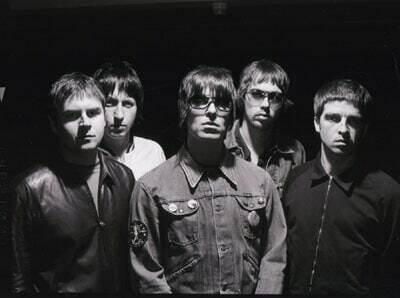 Oasis is really a band that needs no introduction: a band that has sold over 50 million albums worldwide. Releasing three albums that each sold over 7 million copies in one decade is truly remarkable and a testament to the great music that they produced. While their album sales of late have been no where near they were in their heyday, they are still very popular. They are doing a small tour in Canada this summer and also have a new album due out in September of this year. The new album is going to be a break away from their acoustic side and have more of a feel like Be Here Now. It will be exciting to see how Oasis will be received by fans this time around as they release their seventh studio album. I really like the music video for "Don't Go Away". The tone of the video matches perfectly with the song: displaying the feelings of loneliness, helplessness, and frustration that are represented in the lyrics. The image that really stands out is the 2 large trees in the middle of a barren field. Add to that a little bit of rain and an orchestra dressed in black and you have a solid music video that will be remembered for years. Check it out! Next up is Bush with "Greedy Fly", coming in at #94 on the countdown. "Greedy Fly" is not as famous as some of Bush's other songs but did do very well on the charts. The second single off of their sophomore album, Razorblade Suitcase, "Greedy Fly" topped out at #3 on the Modern Rock Charts and #22 on the Hot 100. It was the follow up to their most successful single to date, "Swallowed", in terms of position on the charts. These two singles bolstered the album and Razorblade Suitcase was able to reach #1 on Billboard's Top 200 albums. 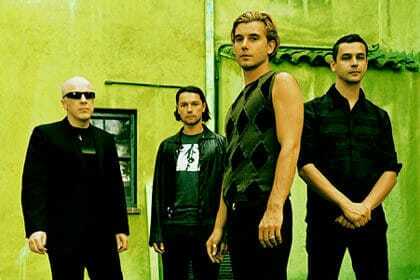 In terms of sales, it fell short of their debut album, Sixteen Stone, but nevertheless went triple platinum. Bush is a British alternative rock band that was intensely popular in the '90s. Their first four albums reached platinum status in the US, and they had three #1 singles on the Modern Rock Charts. Their fifth and final album was Golden State which was their least successful album to date. That was released in 2001 and soon after Bush disbanded. Lead singer Gavin Rosedale has moved on to a new band called, Institute. Bush seems like it was the forgotten band of the '90s. When you look at what people listen to these days, you see Nirvana, Pearl Jam, and even Third Eye Blind, all of which are past their hay days. Bush is no where to be found. For being such a big act in the '90s you would think that they would have a decent following today, but that is not the case. As for the music video, it is quite a doozey. To say that this is a dark video, would be an understatement. Like the song, it is very intense. To be honest, I am not positive on what exactly is going on but I can tell you that the main character of this video, played by Gavin Rosedale, has lost his "mind". It appears that he murdered someone and the music video attempts to tells the story. Starting out in the interrogation room after he has been arrested and ending in the same room after the story has been told. The imagery is staggering, as I assume they are trying to let you into the eye of a murder. Coming in at over seven minutes, it might leave you scratching your head. It is very interesting to say the least. Check it out and let me what you think! Rizzo Music continues with the countdown of the Top 100 Songs of the 1990s, with "Found Out About You" by Gin Blossoms. 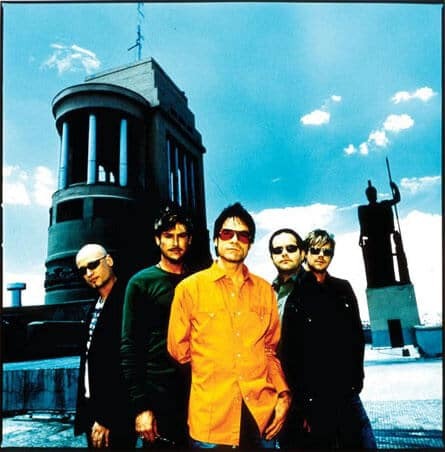 A radio friendly hit with mass appeal, "Found Out About You" was Gin Blossoms fourth single off of New Miserable Experience. Although this was the only single to hit #1 on the Modern Rock Charts, they released 5 singles off of their sophomore album - all of which cracked the Top 40 on the Mainstream Rock Chart. "Found Out About You", which was released in 1994, may not be their most popular or famous song to date but was one of those songs that defined their sound as a band. 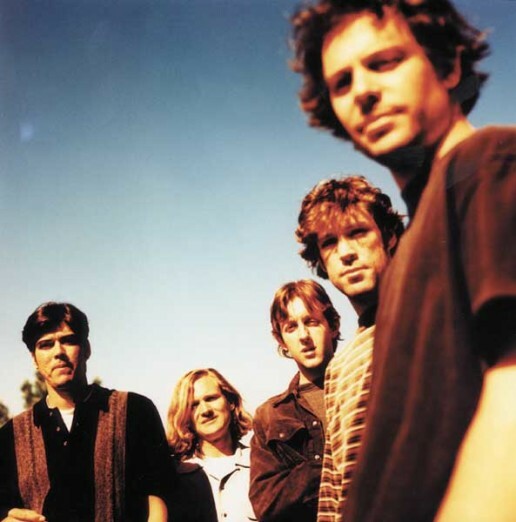 Gin Blossoms is a jangle pop alternative rock band that formed in the late 80s, but didn't hit it big until 1993 when they released, "Hey Jealousy". They not only had five successful singles off of New Miserable Experience, but they also went on to release 3 more singles that charted on the Billboard Hot 100 Chart, two of which broke into the top 10. The band split up in 1997 but started to regroup after 2002. They released their latest album, Major Lodge Victory in 2006 and have been touring ever since. Nearly ten years after Congratulations I'm Sorry, "Major Lodge Victory" put the band from Tempe, Arizona, made it back onto the Billboard 200 Chart, topping out at 159. The music video for "Found Out About You" is pretty much just classic '90s. They make good use of their strobe light as they show shots of the band playing the song as well as what appears to be a hotel. The strobe light is a perfect fit for this foot-tapping '90s rock classic but at the same time it probably won't invoke you to go watch it again. Great song, pretty good video. Check it out! Rizzo Music's Top 100 Songs Of The 1990s continues today with number 97, "Meet Virginia" by Train. "Meet Virginia" came out at the tail end of the 1990s, eventually topping out at #15 on the Hot 100 chart in 1999. This song's catchy intro and fun lyrics fell on welcoming ears and put Train on the road to instant stardom. The song took a while to become popular since most people had not heard of the band at the time, but after their first single, "Free", was featured on the popular TV show Party of Five, it wasn't long before "Meet Virginia" lead their self-titled album to platinum status. Train is a band that didn't just peak after their first hit. In 2001, they scored their biggest hit to date, "Drops of Jupiter". "Ordinary" was featured in the ever-popular movie, Spiderman 2, in 2004 and certainly helped them stay in the forefront of mainstream music. Still a very popular band, Train released their newest album, For Me, It's You in 2006, which peaked at #10 on the Billboard charts in the US. Now with Columbia records, they do not show any signs of slowing down. 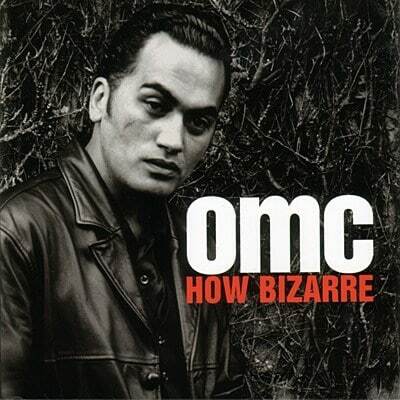 Today RizzoMusic continues with the countdown of the Top 100 Songs of the 90s with one of my personal favorites, "How Bizarre" by OMC. Back in 1997 it was impossible to turn on the radio and not hear this song. Led by the undeniable sound of a mariachi trumpet, "How Bizarre" had such a distinct sound in the US, that the song was hard to ignore. Spending 36 weeks on the Hot 100 Airplay chart and peaking at #4, "How Bizarre" put the New Zealand band on the map. The album of the same name went on to sell over a million copies and it reached platinum status not only in the US but in several other countries as well. OMC, which stands for Otara Millionaires Club, refers to one of the poorest suburbs in Auckland, New Zealand, where the band was formed. OMC was originally a band of about 18 members due to the rich amount of instruments played on their first and only album but before the their single even charted in the US, they disbanded. Pauly Fuemana, the front man of OMC, continued to use the name in his solo career. Unfortunately, due to his lack of success after "How Bizarre", Pauly Fuemana filed for bankruptcy in 2006. There is not much to this music video. It has the lead singer, Pauly Fuemana driving around in his Chevy '69 just like described in the song. It pictures him dancing, singing and throwing around money. It's a fairly simple music video. Check it out!